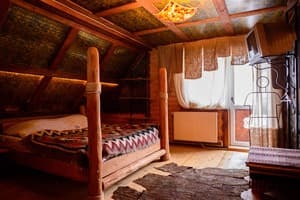 The private estate "Lileya" is a real corner of cosiness and hospitality, located about 1 km from the center of Verkhovyna village, near the "Gribkovaya" mountain. 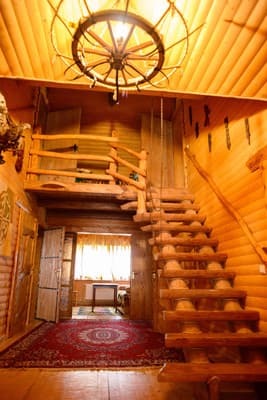 The house has many plants and each room has a varied, original interior, on the 1st floor there is a kitchen, a living room with TV and a fireplace. In the courtyard there is a sauna where you can relax and unwind after an active day. 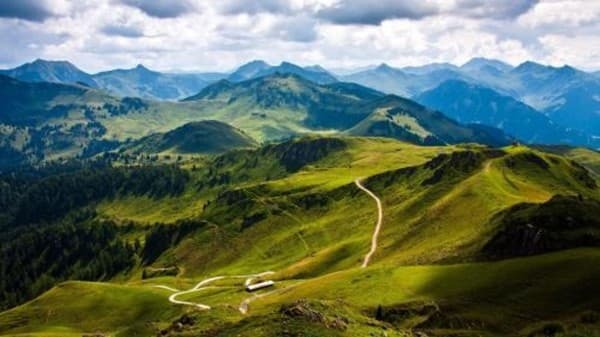 On the territory of the estate "Lileya" there is free parking, the possibility of using the Internet. 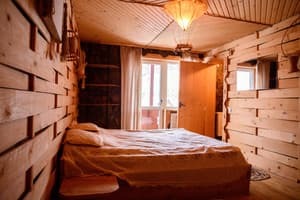 The nearest ski lift is 400 m.
Description of the room: The room is equipped with everything necessary for comfortable living - a double bed, cable TV, a bathroom on the floor. 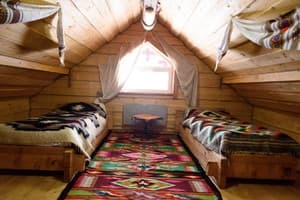 Description of the room: The room is equipped with everything necessary for comfortable living - a double bed, cable TV, a bathroom. 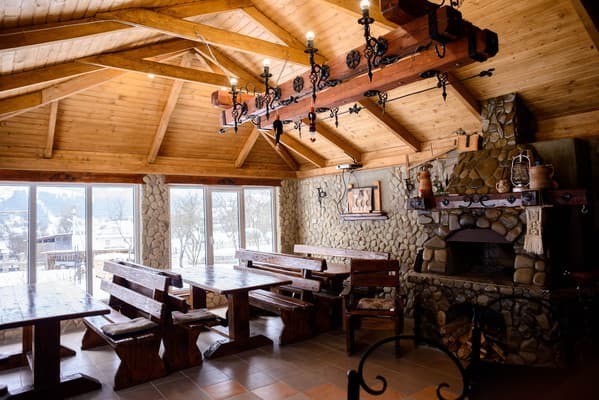 The private estate "Lileia" is located near the cafe "Pearl of the Carpathians" 150 m, the nearest grocery store is 100 m, to the center of Verkhovina is 500 m. The nearest ski lift is 400 m.
From Ivano-Frankivsk to Verkhovyna, in the center to agree on a meeting with the owners. The farmstead is located near the center of the village. Verkhovyna. Your car from with. 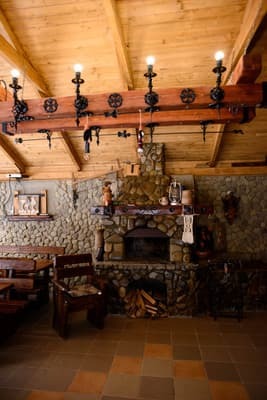 Tatarov go along the P24 highway, go to the reinforced concrete bridge (cafe "Perlina Carpathians"), where the hosts meet.